Note: I received an eARC copy of this title in exchange for my honest opinion. This review was in no way affected by this. 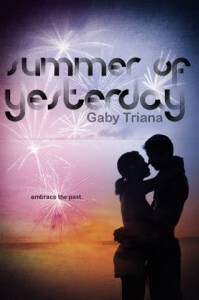 I didn’t enjoy Summer of Yesterday by Gaby Triana as much as I hoped I would. I loved that it was set at Disney World. I love all things Disney. Unfortunately though, I had difficulty believing in the time travel aspect and the romantic relationship. 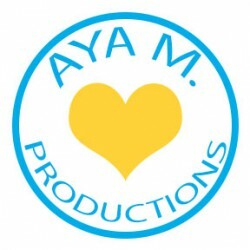 Haley, the main character, finds herself on a trip to Disney World despite her protests. While at Disney World, she finds herself traveling back in time during a seizure. In the past, she meets teenaged Mom and Dad along with a cute boy maned Jason as she struggles to get back to her own time. I had difficulty believing in the whole time travel idea. I couldn’t imagine it in my head. I don’t even think she knew she was having a seizure. This made the story a bit unbelievable. The story was fun though. I had some great laughs reading about Haley in the past and trying to get back to her own time. It just really lacked the depth of plot I was hoping for. Overall, I thought Summer of Yesterday by Gaby Triana was okay. I’d give it 2.5 stars. Honestly though, if you’re interested in reading it, I’d suggest giving it a try. It just wasn’t quite for me and didn’t meet my expectations.